The world today is run by computers, it is almost impossible to do anything in the world today without the aid of a computer. Computers are used in schools, business, hospitals, media, fashion etc. in almost all areas of live you can think of. They have improved our lives significantly that being a computer illiterate has become a luxury that no one can afford. Before you can be employed in an organization you must be a computer literate, no organization will employ you if you can not operate a computer. It is one of the major requirements. However, not all Nigerians are computer literate, some only knows how to type on a keyboard but do not completely know how to use a computer and this is one of the reasons setting up a computer training business is lucrative. There are lots of people enrolling for a computer training school on a daily basis so if you are thinking of setting up this business you are in the right track. There different ways you can train students, all of these ways are effective depending on time given to it. 1. The Typical Training Center – This normal computer training center, the most common one, where students enroll and then come to the classroom to be taught all they need to know. 2. Home Based Training Center – This is where the teachers go to the homes of their students to teach them on a one-on-one lesson. This is not really done on a large scale. 3. Corporate Training – There is working with organizations in other to help them train their employees on how to use a computer. In all of this ways we will be concentrating on one which is the Typical Training center because this is where the big bucks is. A computer training center is a school where students enroll to be taught all they need to know about how to operate a computer and to do this successful you will need to meet some of the requirements. 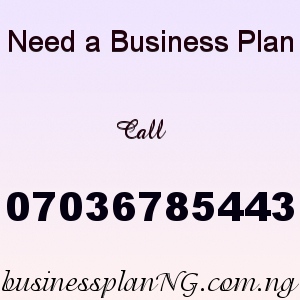 Computer Training Center business plan, its is very important to get a business plan. With a good business plan you will be able to know how much capital the business you need, they kind of computers you need to buy, the best place to locate your training center, how much you will be making, how to stay unique and ahead of your competitors and lots more. One of the ways to make good profit in this business is start well and strong with at least 20 computers and run at least two computer training sessions, like morning session and evening session, you can make it three like morning, afternoon and evening session if you want but two is still very fine. For example you have 20 students for each session and each of them pay at least 5000 naira in a month for the next 3 to 6 months that would give you 300,000 in a month and in three months you get 900,000, in 6 months you get 1,800,000 and in a year you make 3,600,000. Our sample Computer Training center Feasibility Study/Business Plan in Nigeria can be used to access bank loans, proposal writing and grant applications. The business plan was complied after a thorough feasibility study on Computer Training center in Nigeria was done. After you have made payment for your Computer Training center Feasibility Study/Business Plan, send your email and payment details to 07036785443.